With Mayor Shelli Freeland Eddie and Commissioner Hagen Brody in the minority, the Sarasota City Commission voted 3-2 on Sept. 18 to approve its budget for the 2018 fiscal year. The board members unanimously approved the total citywide millage rate of 3.4473 for the new fiscal year, which will begin on Oct. 1. Commissioner Willie Shaw made that motion, with Brody seconding it. The operating rate is 3.1278 mills, which is unchanged from the current level. Commissioner Jen Ahearn-Koch made the motion to approve the budget after the mandatory second hearing on it; Shaw seconded the motion. Vice Mayor Liz Alpert joined them in the majority to approve it. The city is spending hundreds of thousands of dollars on a consultant who is handling the development of a new form-based code to regulate development, he continued; yet, the city also is going to pay for new planning staff. The FY18 budget includes the hiring of a chief planner for transportation, a transportation planner and a senior planner in the city Planning Department. Freeland Eddie also objected to those proposed hires, although she acknowledged that the board had set a goal in its strategic plan to handle workflow more efficiently in the Planning Department. Then she said she mostly objected to the new senior planner position. Further, Freeland Eddie said she opposed elevating a part-time position to a full-time job in the Sustainability Department, though she offered plaudits for Manager Stevie Freeman-Montes’ work. Freeland Eddie and Brody also discussed the need to focus more on infrastructure issues in the city, especially in the wake of Hurricane Irma’s strike on the community. Irma “has highlighted some of them,” Brody added, noting that the city experienced 21 water line breaks. Given persistent power outages even through that day, he continued, the commission should have staff looking into the potential for burying power lines, for another example. The city had mostly tropical storm force winds when Irma came through, Brody pointed out, indicating that the damage could have been much worse. 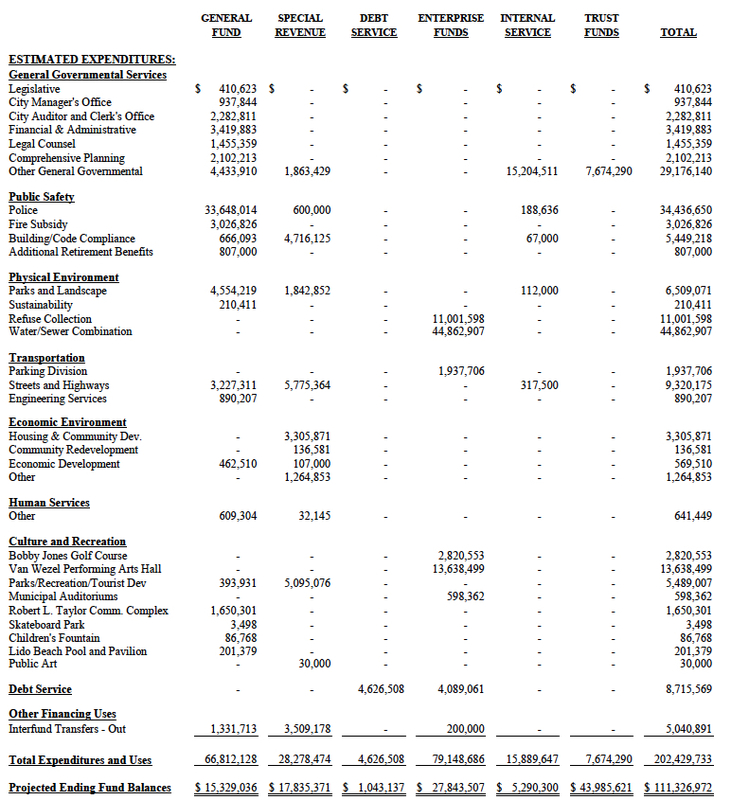 As for the millage rages: The agenda material Finance Director Kelly Strickland provided to the board in advance of the Sept. 18 meeting explained that the final operating millage rate for the city’s General Fund is 3.9% higher than the total rolled-back millage rate of 3.1631. In other words, the latter figure is the millage rate the city would have to impose to reflect the rise in property tax values. Because the overall city property value climbed 9.77% compared to the figure for 2016, many property owners will pay more in taxes, even though the City Commission maintained the same millage rate for the 2018 fiscal year that it approved for the current fiscal year. 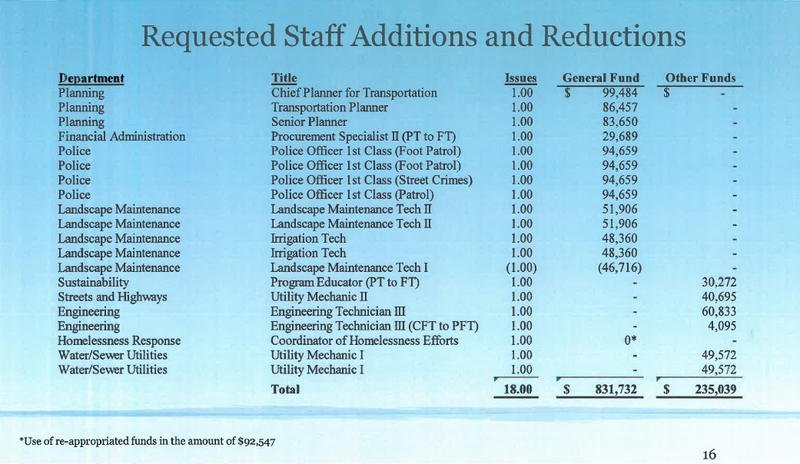 The total city budget for the 2018 fiscal year is $202,429,733, Strickland told the board. During the budget discussion, Freeland Eddie also told her colleagues she believes city staff should be acting with alacrity to find a new facility for storage of the city’s public records, given the history of water leaks and damage at the current location. The records are kept in the Public Works Department complex on 12th Street. 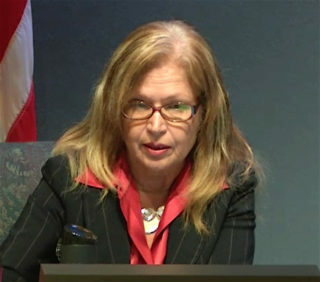 City Auditor and Clerk Pam Nadalini noted that she had provided the commissioners information about the most recent incidents at that facility. 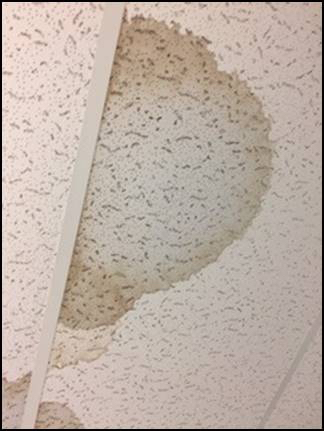 In an Aug. 28 email to Nadalini, City Records Manager Nick Daazio reported that he had found several new water stains on the ceiling in the Central Records portion of the 12th Street building. He attached photos of them, which Nadalini also passed along to the board. After discussion ensued on that issue on Sept. 18, the board gave staff consensus to work with Nadalini to try again to investigate potential rental opportunities for storage of the records until staff has completed a study of space needs for all city departments. Assistant City Manager John Lege told the commissioners that staff probably will be able to provide them an array of recommendations about reorganizing city department space in about four to eight weeks, as the team undertaking the study has completed its talks with all the necessary parties. After further discussion, Deputy City Manager Marlon Brown said staff would present an update on options for temporary records storage when the commission holds its next meeting, on Oct. 2. The last time Nadalini addressed the issue with the board was prior to the 2017 City Commission elections, when Ahearn-Koch and Brody won their seats.